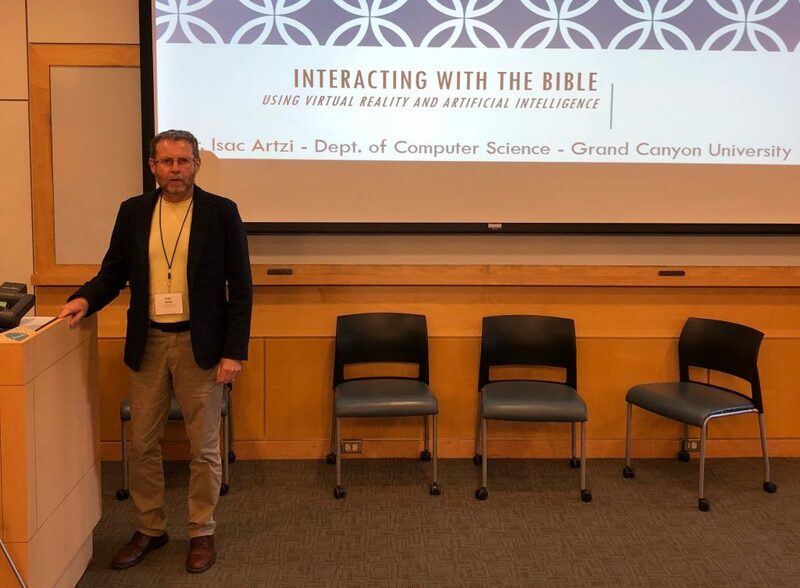 Computer science lead Dr. Isac Artzi presents his talk “Interacting with the Bible Using Artificial Intelligence and Virtual Reality” at the recent American Scientific Affiliation national conference in Wenham, Mass. 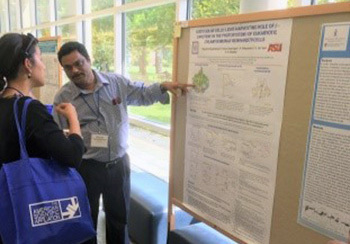 Faculty and students from Grand Canyon University‘s College of Science, Engineering and Technology spoke about desert plants, virtual reality, artificial intelligence and more at the American Scientific Affiliation national conference July 26-30 in Wenham, Mass. The annual meeting featured distinguished guest speakers such as Francis Collins, Director of the National Institutes of Health, noted for his landmark leadership of the Human Genome Project, as well as noteworthy scientists, theologians, business delegates and students from various countries. 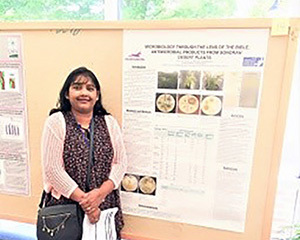 — Dr. Daisy Savarirajan presented a poster on “Microbiology Through the Lens of the Bible: Antimicrobial Products From Sonoran Desert Plants.” She also was an early career track speaker on “Don’t Leave Undergrad Without It: Wisdom for Thriving in Science” that concluded with a speed mentoring session for undergraduate students. about successful initiation and sustenance of local chapters. — Dr. Isac Artzi, Associate Professor & Computer Science Program Lead, offered an oral presentation on “Interacting with the Bible Using Artificial Intelligence and Virtual Reality.” This initiative is innovative on multiple fronts: (a) it engages undergraduate students in advanced cross-disciplinary research; (b) it offers an opportunity for harmonious collaboration among science, faith and history; and (c) it enables interaction with the text and characters in their biblical context. 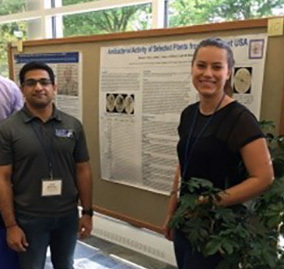 The American Scientific Affiliation is a community of Christians who are scientists, engineers and scholars in related fields such as history of science, philosophy of science and science education.